Oh my stars, this would be EXCELLENT. We just finished implementation and onboarding of both Salesforce and Pardot, and one of the biggest disappointments was finding that there really was no drag and drop or even a true WYSIWYG editor in place in Pardot. We were also VERY disappointed in there being only three responsive templates to choose from! Our solution was for our graphic designer to copy the responsive coding into Dreamweaver, do the designing, and then copy and paste the code back into the blank template offering. An upgrade is much needed already! Not every team has enough time to be developing every email from scratch. 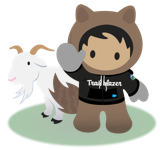 There are a lot of good ideas that have been submitted on this forum, but I think this one needs to be escalated and brought to the attention of key decision makers within Salesforce. I tweeted a comment and link to this thread to Adam Blitzer, one of the two co-founders of Pardot, who is now an EVP at Salesforce and whose responsibilities include Pardot's product direction. I would encourage others to do the same, and chime in if you can think of other ways to get this glaring functionality gap in front of people who matter. It is a critical feature of the usability viewpoint. Honestly, while I am really pretty experienced with HTML and CSS there's no reason why I should have to manually create everything from scratch to get the e-mails I want. We actually have kept an account with Active Campaign just because it isn't worth it for me (and my team, who does NOT know code) to take the time to painstakingly create e-mails in Pardot. This feature would be enough to bring our entire e-mail marketing over to the Salesforce side of things. This would be an amazing enhancement! The Email editor is in need of a major upgrade to be able to accomplish basic email marketing tasks. Previously, we used Campaign Monitor and have considered keeping it around to be able to more easily create our templates, export the HTML, and bring into Pardot. This should not be the case. This would be a wonderful enhancement. Basic functionality that should already be in place. Basic functionality definitely required by our Business. Yes SF please make this happen or allow integrations of template builders like BEE (https://beefree.io/) so we are able to create stunning emails with drag-and-drop. Come on, Salesforce. Make it happen! I'm beginning to think Pardot is never going to make this kind of enhancement to align its features with competitors like Marketo, Hubspot and Eloqua. If it was any sort of priority it would have been done years ago.